Dr. Lu founded the International College of Traditional Chinese Medicine of Vancouver (ICTCMV) in 1986. Dr. Lu still develops the accredited curriculum and has translated over 30 of the best TCM books in the Chinese medicine including his worldly acclaimed translation of the Yellow Emperor, the Chinese Medical Bible. 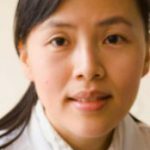 Dr. Lu has helped initiate TCM and Acupuncture legislation in BC and is widely respected in North America, Europe and all over the world. Dr. Lu sat on the Federal Board of Natural Health Products in Canada. Dr. Henry Lu received his Ph.D. Degree from the University of Alberta, Edmonton, Canada. He taught at the University of Alberta and the University of Calgary between 1968 and 1971, and has practiced Traditional Chinese Medicine since 1972. As mentioned above, Dr. Lu is best known for his translation of Nei Jing and Nan Jing from Chinese into English. But now, 23 years later, Dr. Lu has completely revised the translations. Dr. Lu has received many awards from TCM and acupuncture organizations worldwide. Dr. Ho graduated from Shanghai University of Chinese Medicine in 1985, had practiced both traditional Chinese and Western Medicine in Shanghai Shu Guang Hospital which was merged from one leading traditional Chinese Medicine hospital and one Western hospital. She served in the hospital’s emergency units and traditional Chinese medicine department for about 3 years before further study in Japan. She was enrolled in a 5 year Ph.D. program for the research of using TCM herbal medicine treating Meniere’s disease in Hamamazhi Medical University in the province of Shizioka, Japan. In year 2005, Ho obtained a Master Degree from University of British Columbia in Health Care Administration. She is currently the Senior Educational Administrator of the College. 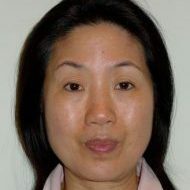 Ho joined ICTCMV in 1991, since then, she has taught and managed many different courses and areas of the college, she also has a private practice in the Vancouver Westside. Graduated from the International College of Traditional Chinese Medicine of Vancouver (ICTCMV) in 1998 and began a practice in New Westminster, BC. In 2000. She worked at the Centre for Integrated Healing (currently known as Inspire Health) with Dr. Liu Fang, treating cancers of all types in conjunction with many other health related professionals. In 2002 Dr. Cameron continued working in her private practice. In 2003, Dr. Cameron began work with the Residential School Healing Program at Vancouver Native Health in the downtown east side of Vancouver. The program offered free treatment to residential school survivors suffering PTSD, severe trauma and the effects of chronic sadness. Currently she practices TCM in private practice and also in a new medical concept involving co-consultation and treatment with an integrative western MD. Dr. Chan received his Bachelor Degree in Health Science (Chinese Medicine) from the Royal Melbourne Institute of Technology University, Australia and the Bachelor Degree in Chinese Medicine from the Hong Kong Baptist University. He further obtained the Degree in Doctor of Medicine from the Southern Medical University, Guangzhou, China. His area of research was “After-stroke treatment with Dong’s acupuncture points”. He obtained his clinical experience from many provincial hospitals in the mainland China. Dr. Chan runs his TCM clinic in Vancouver, specializing in traumatic injury treatments. He also pays visits to patients staying in elderly care centres and hospitals. He has participated in many community health volunteering activities in B.C., Hong Kong and the remote villages in mainland China. He has given many health talks to the public promoting TCM. Dr. Chan enjoys lifetime learning and already obtained 5 university degrees in engineering and medical studies. His first career was a professional engineer in the U.K. and Canada. He received Bachelor and Master engineering degrees from the University of Manchester and Heriot-watt University in the U.K. Dr. Chan also undergone a teacher training program and was awarded Teacher’s Certificate from the Hong Kong Education Authority. 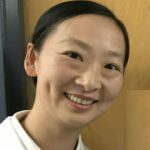 After graduating from Shanghai University of Traditional Chinese Medicine in China, Chen continued her practice in a local integrated TCM hospital in which she has been highly trained. She worked with a group of doctors in the Intensive Care Unit (ICU) department, specializing in treating severely ill patients through integrated Western medicine and Traditional Chinese Medicine. With over 16 years of clinical experience in both China and Canada, Chen offers Chinese Medical Care including acupuncture that provides effective results in a wide range of conditions with no down time. 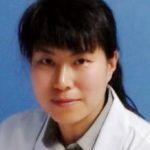 Chen’s patients appreciate her professional knowledge, friendly nature, and her passion for the ancient traditional sciences. 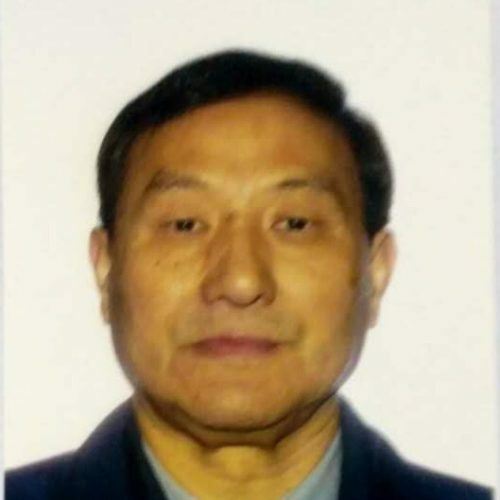 Professor Zhaozhi Cheng graduated from Hubei University of Traditional Chinese Medicine in 1967 and served as an instructor, associated professor, chief physician, mentors for master and PhD programs in Hubei University of TCM. He served in Canada as a TCM senior instructor and clinical advisor since 2007 and opened a TCM clinic in Vancouver in 2010. 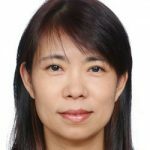 Professor Cheng joined the faculty of TCICTCM in 2018. 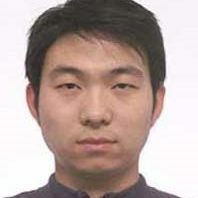 He has Headed a number of prize-winning research projects sponsored by the state and provincial governments of China such as Experimental Research Mechanism of Exogenous Dampness Leading to Disease, Research on Theory of TCM Pathogenesis, and Research on the Specialized English Set up in TCM Specialty of Universities. 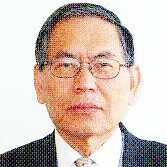 Professor Cheng has also compiled and published 19 academic works including: Newly-Compiled Compendium of Huangdi Neijing, written by Li Jinyong, Zhang Liutong, Cheng Zhaozhi, etc., Shanghai Science & Technology Publisher (1988); Treatise on TCM Pathogenesis, chief editor, China Medical Science & Technology Press (1997); TCM Specialized English (textbook), chief editor, People’s Medical Publishing House (2000); TCM Diagnostics (national textbook), chief editor, People’s Medical Publishing House (2002); Differential Diagnosis and Treatment on Principal Symptoms in TCM, edited alone, People’s Medical Publish House (2008); Selected from Huangdi Neijing, Selected from Shanghan Lun, Selected from Jingui Yaolue and Study on Warm Disease (English textbooks of TCM classics), chief editor, People’s Medical Publishing House (2017). Professor Cheng has also published 77 dissertations on academic journals. Li-Hua earned her Ph. D Degree of Acupuncture and Massage Therapy from Nanjing University of Chinese Medicine in 2018 in China, and has been practicing Traditional Chinese Medicine for thirty-five years since the age of fifteen. Li Hua is the 4th generation of practicing in TCM and she shows the great passion on it. Her goal is to introduce TCM to western world and make more options on treatments and medicines. Dr. Feng earned his Bachelor of Medicine Degree in Tianjin TCM University. He worked in several medical departments in Tianjin traditional Chinese medicine hospitals including neurology department and acupuncture & moxibustion department. 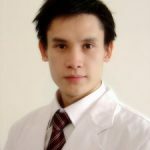 He has rich clinical experience in Acupuncture and Chinese herbal medicine and specialized in treating Stroke, Insomnia, Asthma, Depression, Rheumatism, Sciatica, Stiff neck, Arthritis, Obesity, and Diabetes. 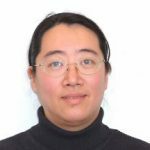 Dr. Feng serves as a clinical supervisor at ICTCMV of Vancouver. Angela has been a registered doctor of traditional Chinese medicine with CTCMA since 2007. Dr. Foran originally became interested in TCM while living in Taiwan. After she graduated in 1995 from SFU with a Bachelors degree in Kinesiology she spent the next 8 years traveling and teaching abroad before returning to her hometown of Vancouver. On her return she began her TCM studies at the International College of Traditional Chinese Medicine of Vancouver. 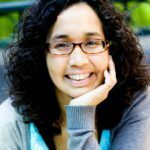 Currently she has a general practice in East Van with a focus on chronic illnesses, digestive disorders as well as anxiety and depression. In addition to her private practice Dr. Foran has been involved with various non-profit organizations volunteering her time to do acupuncture at the Dr. Peter Aids Foundation and the Pan African Acupuncture Project. Gao earned her Bachelor degree of Medicine from Guangzhou University of Traditional Medicine in 1996 in China, specializing in Acupuncture and Tuina Massage. She has 11 years of clinical experience in Acupuncture, Therapeutic Massage and Herbs. Gao has a great passion to introduce Chinese Medicine to the western society and building a bridge between Chinese Medicine and Modern Medicine. Stella Hu obtained her bachelor degree in Spacecraft Design from Beijing University of Aeronautic and Astronautic in 1998. Stella Hu later apprenticed Acupuncture, Moxibustion, He Style San Tong Acupuncture therapy and medical Qigong to Master Jia Shusen who is the inner circle disciple of Professor He Puren as well as the president of the Beijing Ba Gua Zhang Research Institute. Stella even majored in acupuncture, moxibustion and Chinese Massage in Beijing University of Traditional Chinese Medicine for further study, and became registered TCM doctor in 2007. Stella came to Canada in 2009 and passed TCM DoctorExams held by CTCMA British Columbia Canada in 2013. Now she practices at Acu-bridge Clinic, and specializes in pain syndrome, sports injury, and gynecological diseases. Stella loves Chinese Martial Arts since her childhood. Through years of hard training and practice, she won many first prizes in Chinese Martial Arts Competitions home and abroad. Since 2004 till now, Stella has been teaching TaiChi, BaGuaZhang and medical Qigong. Dr. Zhihong Huang received her bachelor degree on TCM in 1985, through five years study at Hubei University of Traditional Chinese Medicine. After graduated, she practiced in TCM hospital as a gynecologist. Then she went back to university for her master degree on TCM gynecology, supervised by well known TCM gynecological professor Huang Shunwu, and western gynecological professor, Mei Zhenyi. In 1991 she entered Beijing University of TCM for her Ph.D degree. In 1996 she became an associate professor in China. She was also a visiting scholar in UK. Except teaching, she also works in her private clinic to treat variety of diseases, but most interesting on gynecology especially infertility. She has strong interest in using herbs and acupuncture to regulate ovarian cycle. 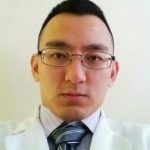 Adrien Ip is a registered TCM practitioner, and is a graduate of the Doctors of Traditional Chinese Medicine program from the International College of Traditional Chinese Medicine. Having completed his internship at the Taipei Tzu Chi Buddhist General Hospital in Taiwan, Adrien is an accomplished practitioner in hospital environments. During his training period, he was involved extensively in treating patients from various medical departments, such as the intensive care unit and the oncology department. Moreover, due to the high volumes of CVA (stroke) patients hospitalized at the time, Adrien acquired valuable clinical experience in the acupuncture and herbal treatment of strokes and its related illnesses. Currently, he runs a private practice in the Fairview neighbourhood in Vancouver BC as well as Steveston, BC, focussing in the traditional Chinese medicinal treatment of internal medical illnesses and various complicated illnesses. 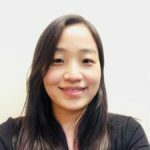 Dr. Jeon is a graduate of UBC (2016) with MSc in Rehabilitation Sciences, a graduate of SFU (2010) with BSc in Kinesiology and a graduate of Shanghai TCM college of B.C. (2003) with DTCM (Doctor of Traditional Chinese Medicine). 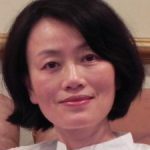 Currently, she practices her profession as a registered doctor of TCM and she emphasizes her skills in treatment of pain, stress and disability due to injury or chronic illness. 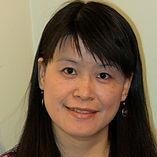 In her graduate studies, Dr. Jeon did clinical research in acupuncture analgesia in the treatment of elbow tendinopathy. 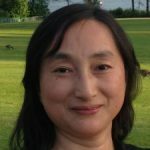 In addition to her clinical practice, Dr. Jeon enjoys teaching students Acupuncture/TCM at International College of TCM of Vancouver (2011-Present). 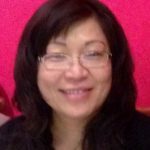 Ms. KAO’s educational background: Diploma of Doctor of TCM in Vancouver Canada, DESS en l’information et de la communication in France, Maîtrise en Marketing in France and Bachelor of Economics (B. Ec) in Taiwan. She has lived and travelled around the world with different domain working experiences. 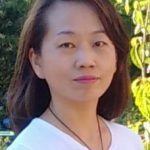 She has studied acupuncture and TCM herbal medicine with and been taught by some of the great masters in China, Taiwan, USA and Germany. She’s also a certified Aura-Soma color therapist and past life regression practitioner. Dr. Ko graduated from the University of Hong Kong with a Bachelor of Arts degree in 1981 and went on to pursue a career in Traditional Chinese Medicine after her immigration into Canada. She graduated from the International College of Traditional Chinese Medicine in Vancouver, BC with her Doctor of Traditional Chinese Medicine and completed her internship at China Medical University of Taiwan. 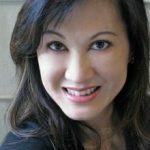 Dr. Ko is a registered Doctor of TCM with the CTCMA and has a successful clinical practice in Vancouver focusing on a holistic approach to women’s health. She is also an active member of the community and has been a popular speaker on TCM health issues with various health interest groups and associations. 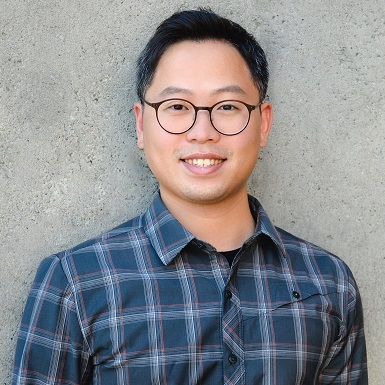 Dr. Kevin Lai is a B.C. Registered Doctor of Chiropractic (D.C.) and Registered Acupuncturist (R.Ac.) who practices in his hometown at Vancouver, British Columbia. 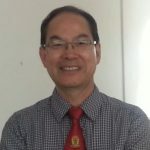 With a passion for helping others, Dr. Lai wishes to improve the longevity, health, and mood of people in the Vancouver area through his knowledge of physical medicine, acupunccture, rehabilitation, exercise, and herbal and nutritional medicine. Dr. Lam earned his degree of Bachelor of Medicine and Bachelor of Surgery (M.B.,B.S.) from the University of Hong Kong in British Hong Kong. He has been trained in pediatrics, general surgery and emergency medicine; and worked in the field of family medicine. 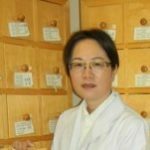 Graduated from the Diploma program for Doctor of TCM, Dr. Lam is currently registered as a Registered Traditional Chinese Medicine Practitioner (R.TCM.P.) with CTCMA. Integration of the knowledge of traditional Chinese medicine with western medical science is his specialty. 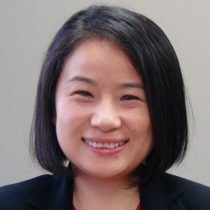 Emily S. A. Liu graduated from the Beijing University of TCM with a Master’s Degree, specializing in Acupuncture and is a PhD candidate in Diagnosis of TCM. Aside from practicing in both Beijing and Vancouver, Emily established her own clinic, Wel- Wellness Centre for Integrated Medicine, in Kuala Lumpur, Malaysia in 2011. Whilst in Kuala Lumpur, Emily taught at the Management and Science University in Acupuncture and the clinical field. Kevin Lu graduated from Guangzhou University of TCM in double-major of TCM/acupuncture with a degree of bachelor of medicine. 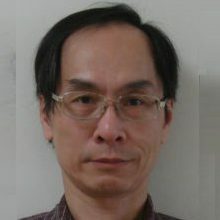 He started practicing TCM and acupuncture in Vancouver since 2003 and used to teach various TCM and acupuncture courses in the Western Canadian Institution of TCM and Acupuncture for four years. Currently Kevin Lu is the president of TCM Practitioners and Acupuncturists Society (Western Canadian Region). Since the last five years he has given lectures and talks in the public libraries, communities and radio programs on philosophy, medicine and science. He has been specialized in using acupuncture combined with TCM to treat chronic pain, psychiatric illnesses and development disorders of children such as autism and ADHD. Dr. Eva Lum graduated from Guangzhou University of TCM in China and completed internship at No. 1 Teaching Hospital of Guangzhou University of TCM. Dr. Lum began her career working at Guangzhou Red Cross Hospital and worked as both a doctor of TCM and an acupuncturist since 1984. Dr. Lum has served the community as a professional doctor of TCM for nearly 30 years and has gathered a great deal of clinical experience with her extensive TCM knowledge, as well as the herbal formulas that have been passed from generations of treatment successfully. Dr. Lum is able to provide reliable consultation and treatment in areas such as digestive and respiratory problems, gynecological and pediatrics disorders, nervous system-related disorders, and rheumatics and eczema. 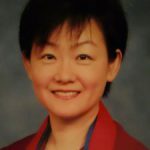 Dr. Jenny Ma graduated from Guang Zhou University as a Doctor of Traditional Chinese Medicine in 1985. She practiced at Guang Dong Ti Yu Hospital for eight years, specializing in sports medicine. She immigrated to Canada in 1993 and opened her own clinic in Vancouver. In the past 25 years she has treated a broad range of illnesses including internal medicine, gynecology, traumatology and pediatrics. She has special interests in proactive and preventive medicine. Shauna Mullinix has studied Taiji Quan and Qigong for 17 years. She is certified as a Taiji Instructor from the S.Y.L. Wushu, Taiji, Qigong Institute of Vancouver, BC. She has taught Taiji and Qigong for 15 years in both Washington State and Vancouver, BC. She competed in Canada and the U.S. in Taiji from 1999 to 2006 and has won Bronze, Silver and Gold medals in bare hands forms, weapons forms, as well as push hands. 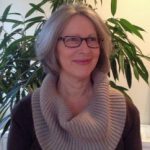 Shauna has a degree in Acupuncture from the International College of Traditional Chinese Medicine in Vancouver, BC and is a Registered Acupuncturist in British Columbia and currently practicing in Vancouver, BC. She holds a Master of Education degree and a Bachelor of Science degree, both from the University of Missouri, Columbia. Dr. Panahi obtained her Ph.D. degree in Biochemistry/Pharmaceutical Biotechnology from the University of Ottawa, Ontario, Canada. She was awarded for her Ph.D. thesis from the Genentech Pharmaceutical Company, California, USA. She was also awarded a Post-Doctoral Fellowship from the Canadian Blood Services to perform research on blood coagulation proteins at the Center for Blood Research of the University of British Columbia. 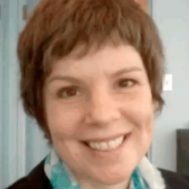 She worked as a research associate at the University of Ottawa and Health Canada. She has many years of teaching experience. 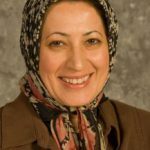 She taught general and medical science courses at the University of Tehran, Iran, the University of Ottawa, Central College, Douglas College, Sprott Shaw Community College and Kwantlen Polytechnic University. Junmin has been working in the medical field for more than twenty years. Born in China, she earned a Bachelor of medicine degree in the medical school of Shanghai Jiao Tong University in 1998, specialising in anaesthesiology. In 2000, Junmin earned both her post graduate degree of comprehensive pharmacology and acupuncture from Shanghai Second Military medical university and Shanghai TCM medical university. Thereafter, she practiced as an anaesthesiologist and pharmacist, and also taught interns in Shanghai First People’92s hospital. She was awarded first price of national medical society for her research in drug clinical practices during anaesthesia and in internal medicine in1999. Junmin moved to Vancouver, BC in 2006 where she has worked in pharmacies, medical clinics and her own clinic of TCM. John Situ, a Registered Traditional Chinese Medicine Practitioner in BC, has practiced Tai Chi for nearly 30 years. He is also the 4th generation of Cheng Tze Tai-Chi and a champion of Tai Chi pushing hands. Karyn graduated from the Doctor of Traditional Chinese Medicine (DTCM) program from The International College of Traditional Chinese Medicine. She also completed a 2-month internship in Hefei, China. She is licensed as a Dr. TCM by the CTCMA. Karyn has been practicing acupuncture and herbal medicine in both B.C. and Yukon since 2007. She is currently practicing at Red Tree Wellness Acupuncture and Herbal Medicine on Broadway in Vancouver. She has been supervising student clinic at ICTCMV since September, 2012. Dr. Wang earned her Bachelor of Medicine Degree in Chongqing Medical University in China in 1982. She had practiced as an internal medicine specialist in gastroenterology at Chongqing Fourth People’s Hospital for 15 years. She now practices as a registered Doctor of Traditional Chinese Medicine and a Registered Acupuncturist in BC. She first opened her TCM clinic in Vancouver in 2001. Her therapy benefits from over 30 years of clinical experience, which integrates her skills and experience as an M.D. in China and as a Doctor of TCM. She also serves as a clinical supervisor at ICTCM of Vancouver. Dr. Jackie Wu was born and raised in Taiwan. He is a graduate of University of British Columbia, majoring in animal biology. Upon obtaining his bachelor degree from UBC, Jackie began his study of Traditional Chinese Medicine (TCM) in the five-year DTCM program at PCU College of Holistic Medicine in Canada. After obtaining his license in British Columbia, Dr. Wu journeyed to China for 3 years, pursuing further clinical training at the Guangzhou University of Chinese Medicine and earning his master degree in acupuncture. 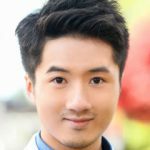 He is a licensed Dr. TCM and Registered Acupuncturist with the College of Traditional Chinese Medicine Practitioners & Acupuncturists of British Columbia (CTCMA). 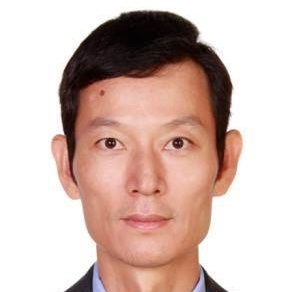 Dr. Xu graduated from the renowned NanJing University of Traditional Chinese Medicine in 1998. She then worked and continued her medical studies at the provincial hospital and the YangZhou University of Medicine where she’s a licensed Neurologist, TCMD, and clinical educator. In 2002 Dr Xu became licensed with CTCMA as R.Ac. and as Dr.TCM. in 2006. 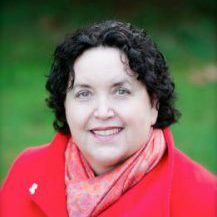 Her continuing education in BC includes Business Management in Kwantlen Polytechnic University and Radiation Therapy in BCIT. Taking pride in offering the finest in patient care and services to each and every patient, Dr. Xu is passionate about keeping up with the latest advances in TCM.  Dr. Xu would very like to study and work together with the staff and students in ICTCM to promote the most professional TCM practice in BC. Her favorite TCM theory includes “TCM views the human body and the environment as a whole system” and “Following the prognosis of a disease, preventive treatment is the primacy”. Zhang received her Master Degree in TCM from Beijing Union Medical University in Chinese Academy of Medical Sciences, Department of Traditional Chinese Medicine in July 1998 and her Bachelor of Medicine from the Beijing University of Traditional Chinese Medicine in July 1992 from the Beijing University of Traditional Chinese Medicine, Department of Traditional Chinese Medicine.